“We’re pleased to see the service returning to the NHS, but it should not have been privatised in the first place. “It can be difficult enough to encourage young women to be tested and that becomes even harder when they have no confidence in the results due to this appalling failure. “This was about saving money, yet extra cash had to be found to clear up the mistakes. 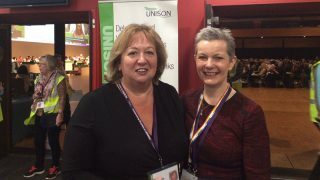 – UNISON is the UK’s largest union, with more than 1.3 million members providing public services – in education, local government, the NHS, police service and energy. They are employed in both the public and private sectors. We think public services should be run for people, not for profit. Privatisation costs more, damages crucial services and drives down the terms and conditions of those providing them. Find out how UNISON is campaigning against the privatisation of local services and how you can help. UNISON is campaigning to ensure everyone who works in our NHS is valued, whatever role they fill.